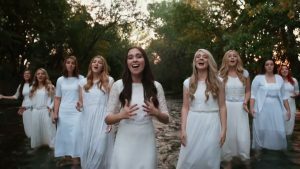 Brigham Young University’s a cappella group Noteworthy which is based in Provo, Utah, is comprised of nine female members, all of whom are members of The Church of Jesus Christ of Latter-day Saints. Per BYU Performing Arts Management, their melodious voices “deliver a power-packed concert that combines vocal percussion, humor, and a tight harmony style that’s all their own.” Their amazing repertoire includes a smooth mixture of rock, pop, country, jazz, R&B, spiritual, and other musical styles that are sure to capture the heart and attention of every listener regardless of his or her age. The group credits such artists as BYU Vocal Point, University of Oregon’s Divisi (one of the top collegiate women’s a cappella groups in the nation), University of Oregon’s On the Rocks (a premiere all male a cappella group), Stevie Wonder, and Bobby McFerrin for influencing them to pursue their music passion. Noteworthy recently received the “Best Religious Video” award from The Contemporary A Cappella Society for their delightful video “Amazing Grace (My Chains Are Gone).” was published to their YouTube channel on 13 October 2015, and has been viewed more than 19.3 million times. 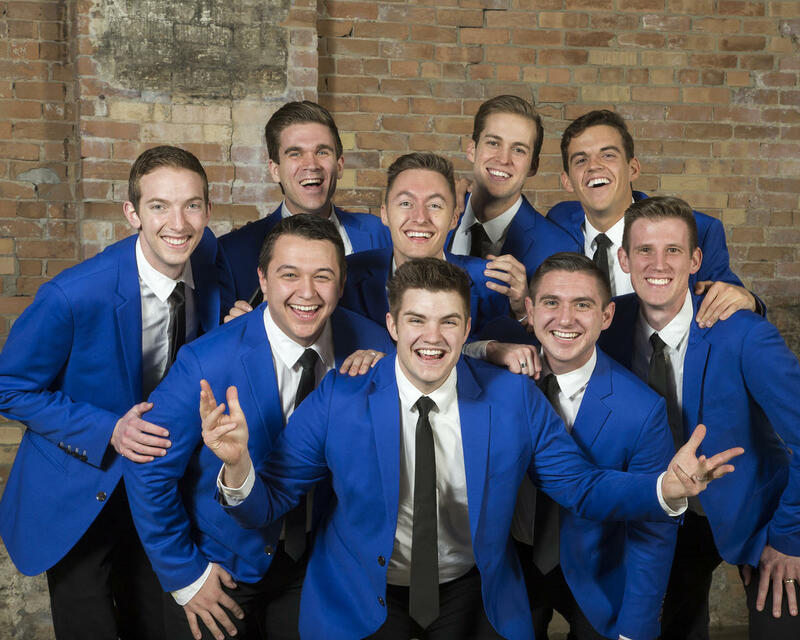 Vocal Point has had numerous successes over the years including winning fifth place and critical acclaim for their outstanding performances on NBC’s third season of The Sing-Off. The group recently received the award for “Best Male Collegiate Video” from The Contemporary A Cappella Society for their stupendous video “Ultimate A Cappella Mashup: 25 Hits, 25 Years.” The video (featuring Sophia Osmond, daughter of Jimmy Osmond) was published on their YouTube channel on 7 April 2016 and as of early February 2017 has garnered more than 573 thousand views.